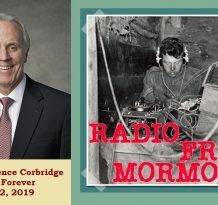 Radio Free Mormon tackles the pillar of revelation. In his normal RFM fashion, he lays out like a legal case the fact that Mormonism has gone from a religion that encouraged and expected its membership to have direct revelation from God, his son, and his angels to a faith that has stripped away any real dependenace or expectation of revelation. From handshakes to discern ministering angels to being told today that such things like a angelic visit or even a real voice not only should not be expected but simply won’t happen!!!! I haven’t listened to the podcast yet, but I just wanted you to know in advance, how delighted I am to find a new post from you. There is something wonderful in how you state things. I have never been a fan of snark, but your particular brand of snark has caused me to have a change of mind…… I love your snark! Sometimes snark is a substitute for intelligent writing, but this is not the case with you. You cause me to think, laugh, and thoroughly enjoy your work as if were a good mystery novel, or good si-fy movie. Anyway, ready to dive into the podcast, having a smirk of delight at the possibility of what you’ve uncovered this time. I haven’t studied Joseph Smith as much as you have, but when he dismissed others’ visitations by angels, because real angels don’t have wings, did Joseph Smith not believe in Isaiah’s words when Isaiah wrote of the seraphim who are a type of angel? Or are Isaiah’s description of angels to be taken as figurative and not literally? Or was JS puffing smoke as he frequently did? I believe that, in a section of the doctrine and covenants, there is a revelation/interpretation of Isaiah where in Joseph Smith indicates his understanding the wings are symbolic, and meant to suggest ability to move and travel. I hope you liked the episode! Of course I liked the episode, and there was plenty of delicious snark to go around. I chuckled several times, and then you brought in the sage words of Stephen King, which I found to be quite sobering. Great job. Are you a detective by occupation? Technically not a detective, but I might as well be. I am a lawyer who makes a living dissecting statements from people who are in the habit of lying and trying to put one over on the court. And that’s just the police! My first cousin is a PI for some insurance companies, specializing in fraud. I love that you show those qualities in your podcasts. I guess many of us fantasize that we are “snoops”. You must do tons of research for each podcast. I am so glad you have that inclination, but you also have the finesse to polish the results up to mirror a good “thriller”. Kudos to RFM, our favorite podcast sleuth. Sorry, my laughing is in reference to RFM’s comment about the police. ???? New revelation won’t contradict former revelation! Awesome podcast. Great research. And delivery with a twist of lemon! I’m in the “snark alert” too. At least once a year, possibly more, I hear this “testimony”. I know I have covered the “dumbing down” of miracles in the LDS Church before, and this is a classic example of the phenomenon. I like to think of it as The Amazing, Shrinking God of Mormonism. When I listened to your sound-bytes of Elder Oaks, I didn’t get any feeling of commitment behind his words. He seemed apologetic, even stumbling through it. It seemed like he was more interested in not saying anything that he could be held accountable for than he was in declaring the word of the Lord. The more I listen to these men, the more I get this impression. They don’t even have confidence in their own words. And, they certainly don’t communicate that confidence to me either. Elder Oaks is an interesting study. I think, perhaps more than Elder Ballard, he is aware of how he sounds to the public. On several occasions during the Face-2-Face, Elder Oaks tried to reel Elder Ballard back from a hard-line, conservative statement. On two occasions, I believe, Elder Ballard talked about how people with problems just need to solve those problems for themselves. Elder Oaks came in to add that Jesus’s help is important, too. And on another occasion, in reverse order, Elder Oaks talked about not putting non-members on a guilt trip for drinking coffee. There was a great deal to comment on and these items did not make it into the podcast. Depressing isn’t it, hopefully the sun will rise again. I’ll take the money quote and run with it. Experience has shown, at least as taught by the LDS Church, that once the sun goes down on the prophets, a reformation is not sufficient, but a restoration must take place. I think the LDS Church has reached this point in the past 40-years. There is no amount of reformation within the church that is going to take care of the problem. And I think this may be an illustration of the parable about the talents; that those who failed to improve their talents not only don’t get what they could have had, but the original talent(s) given them are taken away, as well. I also like this other one by King. Mormons, Fiction is the truth inside the lie, and the truth of this fiction is simple enough: our religion is True. According to Truman Madsen only once every 600 years there is major revolutionary shift in Theology & Religion. Great podcast!! Lot to think about. I’m surprised you didn’t catch the obvious contradiction between MRB and DHO on revelation. MRB stated it was feelings not voices or visions while DHO said that revelation comes from the “Still Small VOICE”. Maybe you did and I missed it. Anyway, a personal question for your listeners. You’ve attacked the Church’s stance on homosexuality at almost every turn. Is there a personal reason for this? Are you or one of your children a homosexual and looking to find justification for those feelings and tendencies that God created them that way instead of them choosing it? I just find it odd that if all the issues one could choose to attack, this is the one you chose without explanation. Keep digging. Looking forward to future episodes. “Are you or one of your children a homosexual and looking to find justification for those feelings and tendencies that God created them that way instead of them choosing it? The implications and assumptions of your question are troubling. The problem is not that people are looking for excuses or justifications for sexual orientation. The problem is that some religions – like ours – have fabricated a sin-narrative around sexuality that God has never done himself. Just like we fabricated the blacks-are-cursed-and/or-less-valiant narrative to justify the priesthood ban. In both cases, the church caused incalculable damage that deserves outrage and “attack”. You don’t still believe that blacks are cursed and inferior, do you? If RFM “attacked” racism in 1974, would you have asked him a similar question? You may not have listened to Episode 262: “An Examination of the LDS Church’s Position on Homosexuality With Bryce Cook”, or explored the website linked in the show notes https://mormonlgbtquestions.com/ . Spend some time considering what and who Jesus did and didn’t condemn and then reflect on what is worth “attacking” and you will probably have the answer to your question. Will your take on how the Book of Mormon is historical fiction address the testimony of the 3 ad 8 witnesses who handled the plates, sword of Laban and Liahona? Of all the topics, why this one? No one does anything in a vacuum. Not to mention I’ve posted other rebutted to his claim that pre-mortal identity hasn’t we been taught and never received an answer in the comment section for past episodes. I know RFM must be busy. He does a great job researching. I like most of his shows. Some of them I take issue with because I believe his doctrinal reasoning is weak at times. I have yet to listen to the episode you mentioned. I will do it. Thank you for the suggestion.